This year’s Social Media Week London set out to explore the global theme ‘Language and the Machine’ examining how algorithms are shaping the human language. Content is the center of a brands performance on social and various pieces of content make up a brands social feed. Interestingly, over 60% of content is ineffective, unless targeted to the right audience. To create truly effective content, a brand must: raise awareness to the audience, inform and interest, engage and drive decision-making and send the right message. The platform you decide to post on and the content you are posting, is as equally as important as each other. You could create an authentic and engaging piece of content, although is it reaching the right people? Advertisers must entertain, educate and align their decisions to the behaviours of their customers and their journey. Passions, needs, and interests of the audience should be considered, so if a brand produces a memorable piece of content, 41% actively seek future content from that brand. Additionally, frequency, distribution, cost, quality, and engagement are the most important factors when creating content. Now, it’s all about the speed of the feed, you only have a few seconds to impress. 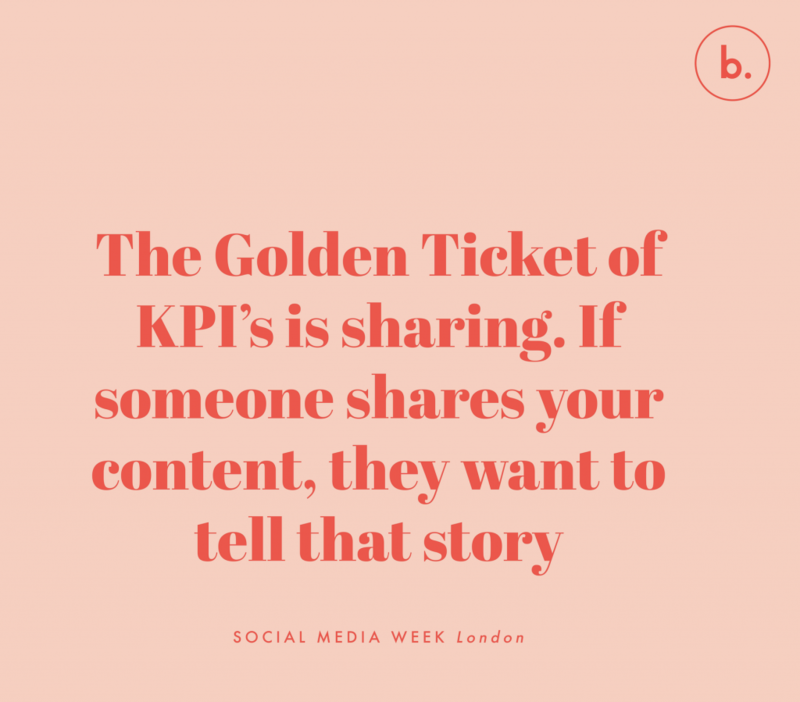 Could you imagine a world where content is measured by emotion and laughter became a KPI? Media professionals are currently toying with the idea of measuring content by emotional responses. Now, the challenge facing adverts is shorter content, as consumers only digest 3 minutes of video content. Video content should be short, snappy and portray the point as quickly as possible while telling a story of everyday life. On the other hand, Chatbots will become the new app of the moment, integrating the customer experience into one place and increasing conversation.